Fun Fact 1 – Many people know Las Vegas for its drive-through weddings. 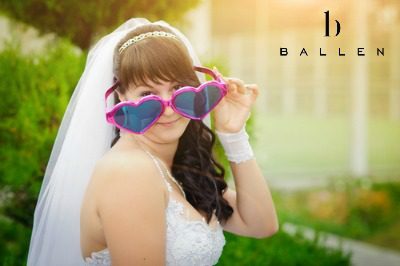 While it’s true that 150 couples get married in Las Vegas every single day, the city, along with its neighboring city, Reno, Nevada, are also recognized as the divorce capital of the nation. Fun Fact 2 – American business tycoon Howard Hughes once stayed at the old Desert Inn Casino for so long, the owner asked him to leave. Instead of packing his stylish bags and heading out on his way, he purchased the hotel for an estimated 13 million dollars in 1967. 33 years later at the turn of the millennium, Steve Wynn needed room for Wynn Las Vegas, so he bought the Desert Inn for an estimated $30 million and arranged for its implosion. Fun Fact 3 – Millions of people visit Las Vegas each year, but there are several suburbs and communities within Las Vegas to host its population of over 600,000 residents. Las Vegas Schools are part of Clark County School District, recently estimated to be the fifth-largest school district in the United States. Hundreds of thousands of people reside in Las Vegas suburbs and communities, but thousands of additional people are said to make their homes in the underground tunnels in a secret city. Fun Fact 4 – Speaking of secret underground dwellings, some people claim that a wealthy entrepreneur in 1964 feared nuclear war. He is said to have built an underground mansion spanning more than 16,000 feet. Construction included luxurious finishes, complete with pool. Could it be that Las Vegas has a lost city of its own beneath the glitter and glitz? Fun Fact 5 – While it is true that many people lose their bets in Las Vegas, the Fed Ex company was supposedly saved by way of gambling. Rumor has it that in the 1970s, Fred Smith, CEO of the company, converted $5,000 into over $30,000 at the blackjack tables, buying the extra time he needed to raise the funds that would ultimately save the business. Fun Fact 6 – Michael Jackson sightings were not unusual in Las Vegas before his passing in 2009, but several sources say he had plans to construct a 50-foot moving statue of himself to roam the Las Vegas desert. The mobile dancing figure of the music icon was thought to be part of a marketing plan to promote a future come-back tour. Neither the moving statue or the comeback tour took place. 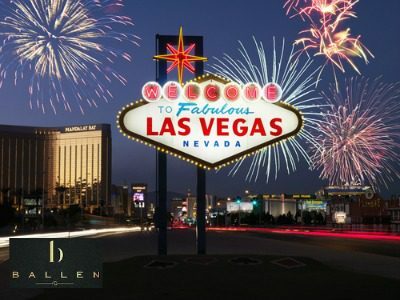 Fun Fact 7 – Sixty percent of the world’s top hotels are in Las Vegas, Nevada. If you wanted to stay one night in every hotel room in the city, it would take you nearly 300 years. Fun Fact 8 – The City of Lights has over 15 miles of neon tubes and over 9,900,000 lightbulbs on the strip alone. Aren’t you glad you’re not paying that utility bill? Check out some of the amazing lights that are no longer center stage in Las Vegas by visiting the Boneyard at the Neon Museum. Fun Fact 9 – Speaking of lights, the spotlight on top of the Las Vegas Luxor Hotel, towering atop a thirty story pyramid, is said to be the brightest spotlight in the world. The Luxor spotlight might contribute to the fact that Las Vegas, Nevada is the brightest spot on earth when viewed from outer space according to some sources. Fun Fact 10 – Not everything in Las Vegas is shiny and new. In fact, many water features such as fountains and man-made lakes in the city use gray water, water recycled from sinks, bathtubs, and showers. But you’d never know that by watching the splendid light and water displays. Las Vegas is known to be the entertainment capital of the world, the city that never sleeps, and is famous for its food, fun, and luxury lifestyles. But there are fun facts nestled into the nooks and crannies of the history of Las Vegas. 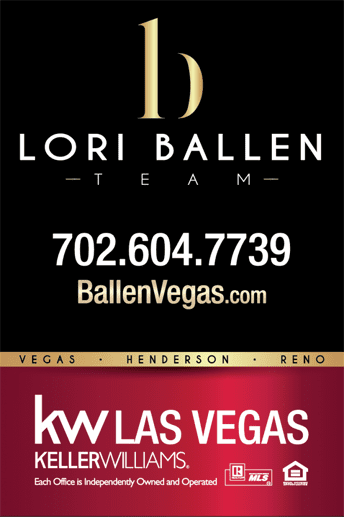 Interested in calling Las Vegas home? Give us a call at 800-805-8354.